We've just launched our Directory of Tango Schools - and published the November newsletter. I believe that the Directory has the potential to be a great resource both for the schools to publicise their services and to recruit new members. And for new and wannabe tango dancers to find out about classes, schools, teachers etc. all in one place. Save a heap of time not having to Google 'tango classes woop woop'. 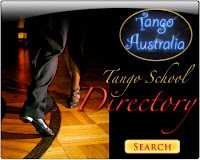 However given the resistance of the schools to free publicity and creating public awareness that I have experienced in getting the Milonga Profiles off the ground and working on the Australian Tango Championships I won't be surprised to find that it is a very slow starter! What is it with Australian tango schools, you'd think the offer of free advertising from a community based initiative that doesn't wish to compete with them would be music to their ears. Why does everything have to be so political. Thanks for the vote of support Scott. Would you like to help persuade the schools about the merits of this Directory?? Seriously if you would like to 'help out'on TangoAustralia would love your assistance! Am missing tango at the moment as I sail down from Fremantle and across the Great Australian Bight to Adelaide - Just for fun for me, work for my partner! This morning we went to the ballroom dancing class and had a taste of swing. Quite enjoyable dancing to the music of the 40s and 50s - much of which is so very familiar - but somehow not as emotionally satisfying as dancing tango. 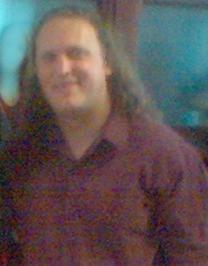 Hope to catch a dose at a milonga this weekend!